Walking holidays Sicily offers you 7 days of easy but charming walking. 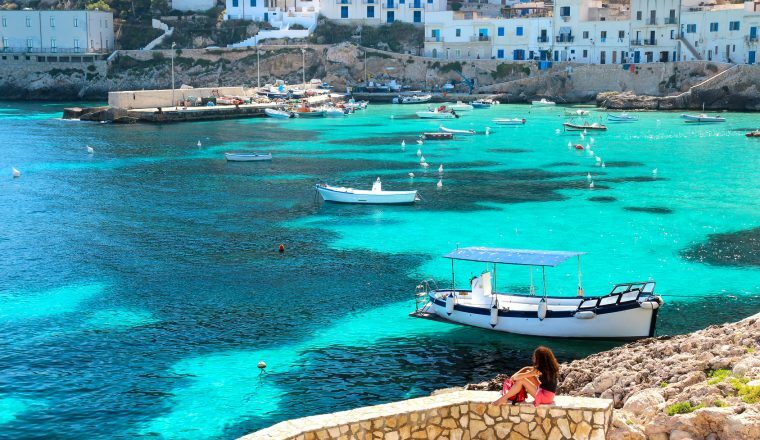 Just west of Palermo’s markets is a beautiful and rugged coastline, and the wild Egadi islands in a crystalline sea. Inland, ancient Greek temples in a wonderfully luminous valley: this is Sicily in all its glorious contrasts. 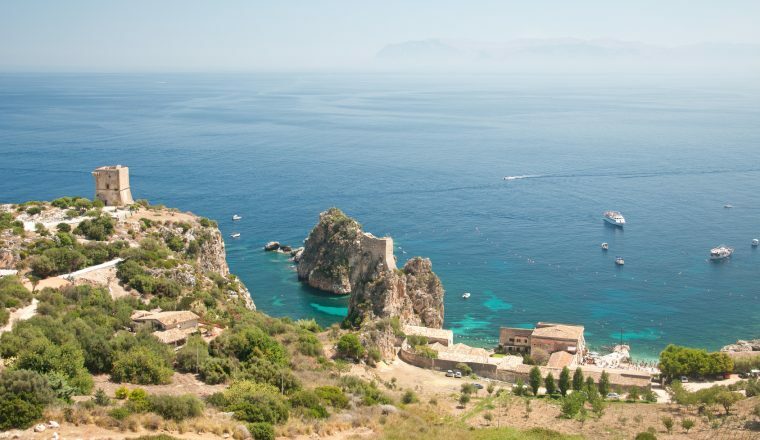 Just west of Palermo’s markets is a beautiful and rugged coastline, and the wild Egadi islands in a crystalline sea. Inland, ancient Greek temples in a wonderfully luminous valley: this is Sicily in all its glorious contrasts. Art and nature combine to present a magnificent easy to moderate self-guided walking holiday. March, October, November £750.00 per person based on two people sharing. Arrival at Palermo/Trapani airport and private transfer to Scopello. Delivery of documents and overnight. The Zingaro Park: the coastline that stretches between Scopello and San Vito Lo Capo has become a nature reserve, the first established in Sicily, since 1980. It is one of the unspoiled and most charming areas in Sicily and can be explored only on foot. The reserve is a place of great value not only for the beauty of the little bays where you can stop for a refreshing swim, but, above all, for the presence of its wildlife. You can stop for a swim or climb up the mountain to enjoy a wonderful view on the Gulf of Castellammare. Visiting the Museum of Contrada Sughero it’ll be possible to discover usages and customs of the people that lived in the Park at the beginning of the twentieth century. Accommodation in Scopello. 16 kms. 5 to 6 hours approx. To the Egadi Islands. Breakfast at the hotel and private transfer to the port of Trapani from where the hydrofoils for the Egadi islands depart. In the afternoon walk to the Spanish castle of Punta Troia, breathing the scents of the sea and the aromatic plants. Overnight in Marettimo. 16 kms. 6 hours approx. To the Roman houses and Monte Corvo. This is a moderate and very enjoyable walk. Reach first the Roman archaeological site, after which you may return to town or continue to Monte Falcone. The route is often protected by pine forest, with wonderful views to the sea. “Case Romane” is a group of Roman ruins on a small plateau facing the harbour. If you want to continue to Monte Falcone (definitely worthwhile) you’ll find superb views with an awesome landscape.Overnight in Marettimo. 12 kms. 5 hours approx.